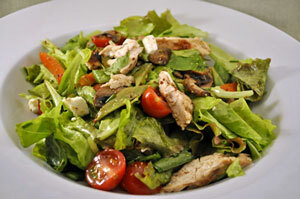 Easy Dinner from Thyme for Cooking: Lemon Chicken Salad. Summer is melon season - have your favorite for dessert. Cut the melon in half and scoop out (and discard) seeds. Cut into wedges and serve.